What does the future of learning look like? What roles do VR, AR, and 3D printing play? How can 3D modelling help foster 21st-century skills among students? 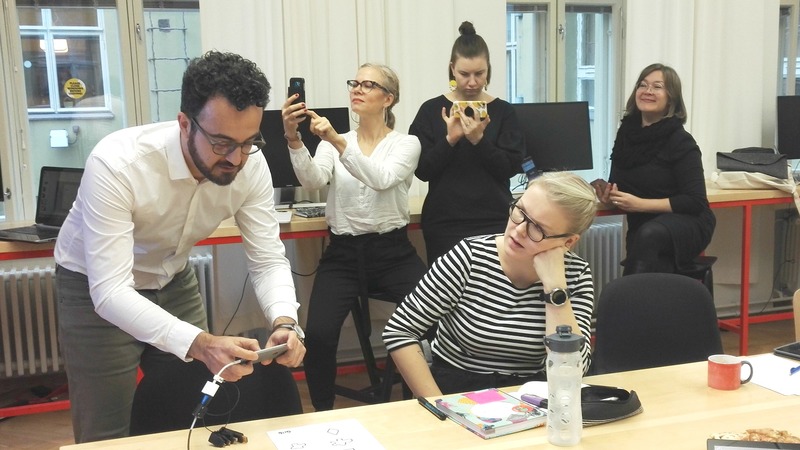 All this and more at the second workshop this autumn organized by Grib for a group of Finnish educators as part of the Design Museo’s training sessions in design thinking and new technologies for the classroom. At this workshop, we were also joined by XR Nation, for the second time, as well as by Maker3D. 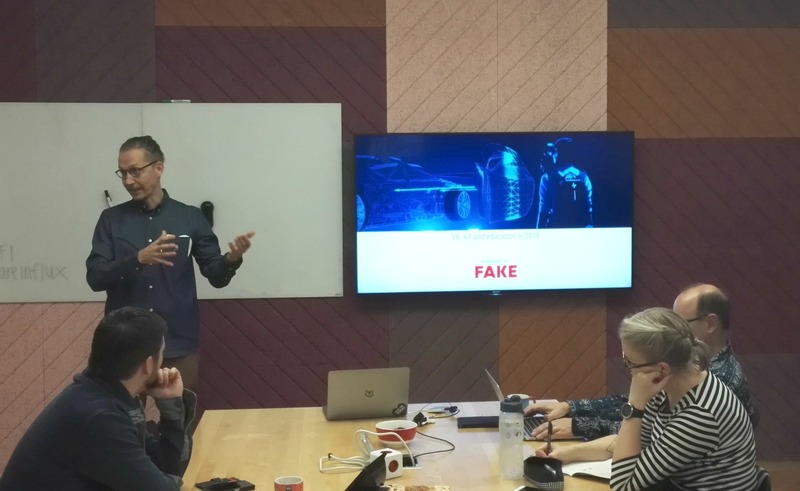 XR Nation guest speaker Markku Jussila (Fake Productions & Glue) gave an introduction about VR and AR in the context of learning. While the benefits of XR are related to spatial 3D content, training in Virtual Reality, for example, can also be more cost effective and safer when learning things like lighting a signal flare. Overall, “3D know-how and 3D experience in 2019 is what programming was in 1999”. 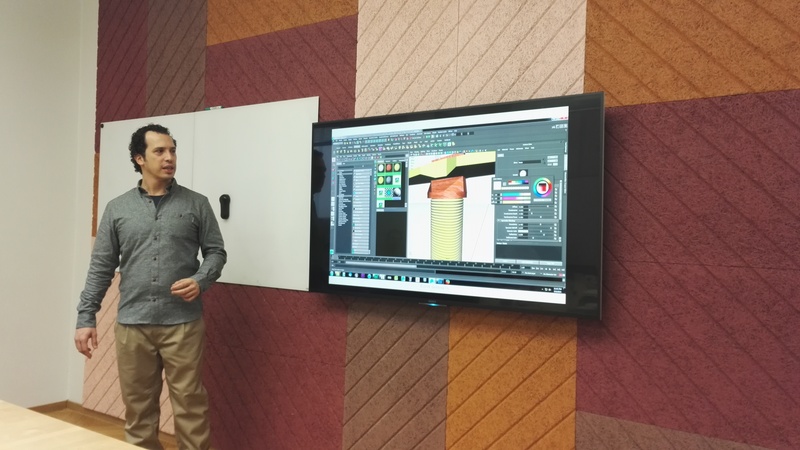 Joh Orengo spoke about the serious challenges of learning and using current 3D modelling software and how Grib overcomes those challenges with its intuitive design reducing the learning curve to nil. Next, Pouria Kay gave a live demonstration of the Grib app. The teachers were then split up into groups and discussed how a tool like Grib could be applied in the classroom and what might be some limitations of using this kind of technology in the classroom. 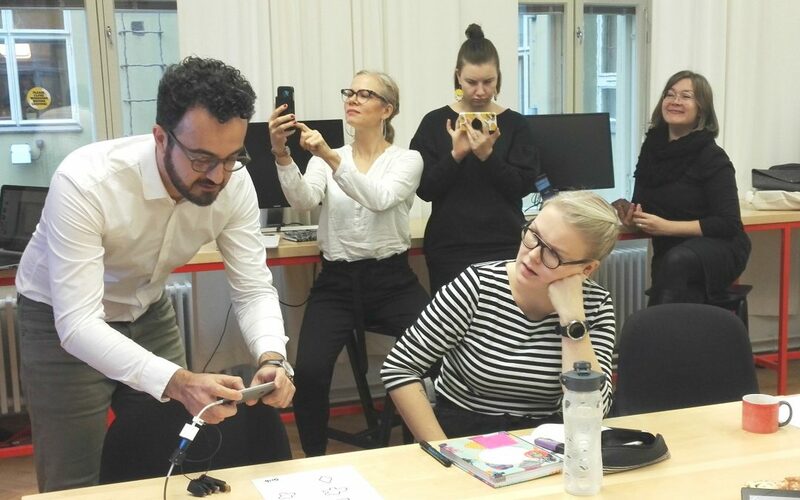 One thing that stood out from their discussion was how the Grib app merges the physical, having to draw 2D shapes on a paper, for example, with the digital, rending those 2D shapes into 3D and manipulating them with the app. Another thing that stood out was that while it goes from the physical realm to the digital one, the outcome or thing produced stays digital. This apparent limitation was addressed by the next speaker. 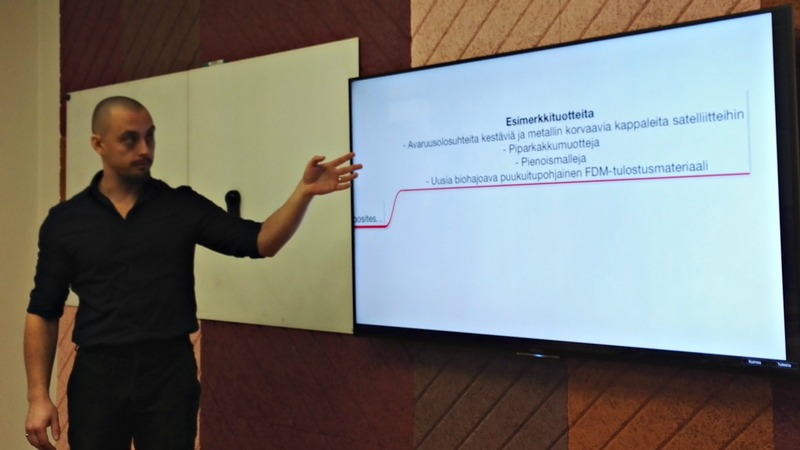 Lauri Pitkänen rounded out the workshop by explaining how the latest 3D printing technology fit in the context of Edtech. He passed around a variety of objects printed by Maker3D in materials like nano diamond. Lauri ended the talk by showcasing the endless possibilities of 3D printing when combined with an easy to use 3D modelling app like Grib. For example, he explained that where Grib begins with the physical and ends with the digital, Maker3D completes the cycle by taking the digital and making it physical. This union of hardware and software can open up an abundance of pedagogical opportunities for educators. At the end of the workshop, the educators had an opportunity to discuss among themselves about the scope of a 3D app such a Grib in their classroom. It was seen as an interactive, easy to use tool that would boost creativity and confidence among students at an early age. The workshop ended with the educators signing up to be a part of Grib’s pilot school program in early 2019.